So what is a novena anyway? 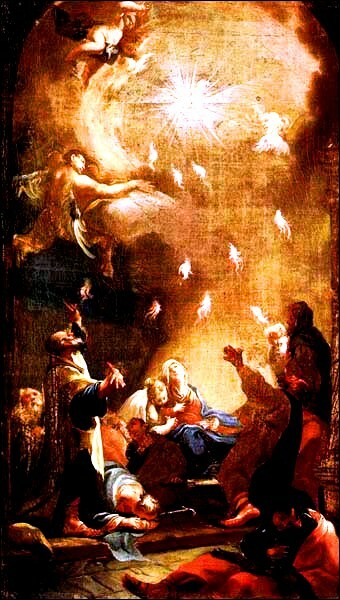 A novena is a prayer that is said over 9 days, which imitates the apostles after the Ascension of Jesus. We know from Acts 1 and Acts 2 that they prayed and fasted for 9 days, between the Ascension and the coming of the Holy Ghost at Pentecost. The results of this were life changing, as the Holy Spirit came on the 9th day and empowered the apostles and Mary to boldly proclaim the Gospel, with no fear of either the Jews or the Romans. Some novenas have one set prayer said over 9 consecutive days, while other novenas have a different prayer for each on of the 9 days, like the novena to the Holy Ghost. Saying a novena for a petition of yours, from the heart, tells God that you are serious about wanting Him to take care of you. The sincere Catholic who wants his or her prayer answered will be well advised to say novenas! "And he told them a parable, to the effect that they ought always to pray and not lose heart. He said, "In a certain city there was a judge who neither feared God nor regarded man; and there was a widow in that city who kept coming to him and saying, `Vindicate me against my adversary.' For a while he refused; but afterward he said to himself, `Though I neither fear God nor regard man, yet because this widow bothers me, I will vindicate her, or she will wear me out by her continual coming.'" And the Lord said, "Hear what the unrighteous judge says. And will not God vindicate his elect, who cry to him day and night? Will he delay long over them? I tell you, he will vindicate them speedily. Nevertheless, when the Son of man comes, will he find faith on earth?" Below are some novenas for your consideration. Some are to Jesus, one is to the Holy Spirit, our continual advocate in prayer, some are to the Mother of God, Mary, and some are to our family members, the saints, who have gone before us, and who now want to pray for us day and night, rain or shine, if we will only ask them. Probably the most powerful novena is the 54 day rosary novena, which combines the power of the novena with the power of the rosary. It consists of 3 novenas of petition through the rosary, and 3 novenas of thanksgiving through the rosary. The saints all have patronages, some of which are listed, so if you are an engineer, maybe you could say a novena to St. Patrick. If you are pregnant, then a novena to St. Gerard Majella is in order. If you've lost something, a novena to St. Anthony would be a great idea. Another powerful novena is for the Holy Souls in Purgatory. Your prayers, masses, and sacrifices shorten their time in the purifying fire there, and some of them may be your loved ones. Once they get out and go to heaven, then they start praying for us! It is recommended that you continually say novenas until you die, varying the one you say every 9 days. On your deathbed, you will have many heavenly advocates speaking on your behalf as satan is accusing you of all of your sins before God......And that is a very comforting thought! If only one prayer is listed, then say it for 9 consecutive days. If prayers for each day are listed, then say the prayer for that day. O most holy Heart of Jesus, fountain of every blessing, I adore Thee, I love Thee and with a lively sorrow for my sins, I offer Thee this poor heart of mine. Make me humble, patient, pure and wholly obedient to Thy will. Grant, good Jesus, that I may live in Thee and for Thee. Protect me in the midst of danger; comfort me in my afflictions; give me health of body, assistance in my temporal needs, Thy blessing on all that I do, and the grace of a holy death. Within Thy Heart I place my every care. In every need let me come to Thee with humble trust saying, Heart of Jesus help me. By the Voice of Thy Blood, O Jesus! I would press Thee, solicit Thee, importune Thee, though Thou seemest to reject my supplications. I will not leave Thy bleeding feet until Thou hearest me. Too many graces, too many mercies have come from Thy Blood, for me not to hope, even to the end in its efficacy. Then, O Jesus! by the Precious Blood seven times shed for the welfare of men, by each drop of that Sacred Price of our redemption, by the tears of Thy Immaculate Mother, I conjure Thee, I supplicate Thee, hear my earnest prayer. O Thou, who during all the days of Thy mortal life, consoled so many sufferings, healed so many infirmities, raised so often a sinking courage; Thou will not fail to have pity on a soul who cries to Thee from the depths of her anguish! Oh, no, it is impossible! Another sigh from my heart, and from the wound in Thine own, there will flow to me, upon a wave of Thy merciful Blood, the grace so ardently desired. O Jesus, Jesus! hasten the moment when Thou wilt change my tears into joy, my sighs into thanksgivings. Holy Mary, Source of the Divine Blood! I conjure Thee not to lose this occasion of glorifying the Blood which made Thee Immaculate. Amen. O Lord Jesus Christ, in presenting ourselves before Thine adorable Face, to ask of Thee the graces of which we stand in most need, we beseech Thee above all, to grant us that interior disposition of never refusing at any time to what Thou requirest of us by Thy holy commandments and divine inspirations. Amen. O Good Jesus, who hadst said, "Ask and you shall receive, seek and ye shall find, knock and it shall be opened to you," grant us O Lord, that faith which obtains all, or supply in us what may be deficient; grant us, by the pure effect of Thy charity, and for Thine eternal glory, the graces which we need and which we look from Thine infinite mercy. Amen. Be merciful to us, O my God, and reject not our prayers, when amid our afflictions, we call upon Thy Holy Name and seek with love and confidence Thine adorable Face. Amen. O Almighty and Eternal God, look upon the Face of Thy Son Jesus. We present It to Thee with confidence to implore Thy pardon. The All-Merciful Advocate opens His mouth to plead our cause; hearken to His cries, behold His tears, O God, and through His infinite merits, hearken to Him when He intercedes for us poor miserable sinners. Amen. Adorable Face of Jesus, my only love, my light, and my life, grant that I may know Thee, love Thee and serve Thee alone, that I may live with Thee, of Thee, by Thee and for Thee. Amen. Eternal Father, I offer Thee the adorable Face of Thy Beloved Son for the honor and glory of Thy Name, for the conversion of sinners and the salvation of the dying. O Divine Jesus, through Thy Face and Name, save us. Our Hope is in the virtue of Thy Holy Name! Amen. O Merciful Jesus, Who didst in Thy early infancy commence Thy office of Savior by shedding Thy Precious Blood, and assuming for us that Name which is above all names; we thank Thee for such early proofs of Thine infinite love. We venerate Thy sacred Name, in union with the profound respect of the Angel who first announced it to the earth, and unite our affections to the sentiments of tender devotion which the adorable name of Jesus has in all ages enkindled in the hearts of Thy Saints. Animated with a firm faith in Thy unerring word, and penetrated with confidence in Thy mercy, we now most humbly remind Thee of the promise Thou hast made, that where two or three should assemble in Thy Name, Thou Thyself wouldst be in the midst of them. Come, then, into the midst of us, most amiable Jesus, for it is in Thy sacred Name we are here assembled; come into our hearts, that we may be governed by Thy holy spirit; mercifully grant us, through that adorable Name, which is the joy of Heaven, the terror of Hell, the consolation of the afflicted, and the solid ground of our unlimited confidence, all the petitions we make in this novena. Oh! blessed Mother of our Redeemer! Who didst participate so sensibly in the sufferings of thy dear Son when He shed His Sacred Blood and assumed for us the Name of Jesus, obtain for us, through that adorable Name, the favors we petition in this novena. Beg also, that the most ardent love may imprint on our hearts that sacred Name, that it may be always in our minds and frequently on our lips; that it may be our defense and our refuge in the temptations and trials of life, and our consolation and support in the hour of death. Amen. O Lord our God, Thou alone art the Most Holy King and Ruler of all nations. We pray to Thee, Lord, in the great expectation of receiving from Thee, O Divine King, mercy, peace, justice and all good things. Protect, O Lord our King, our families and the land of our birth. Guard us we pray, Most Faithful One. Protect us from our enemies and from Thy just judgment. Forgive us, O Sovereign King, our sins against Thee. Jesus, Thou art a King of Mercy. We have deserved Thy just judgment. Have mercy on us, Lord, and forgive us. We trust in Thy Great Mercy. O most awe-inspiring King, We bow before Thee and pray: may Thy reign, Thy Kingdom, be recognized on earth. Amen. Most compassionate Jesus, You are Compassion Itself. I bring lukewarm souls into the abode of Your Most Compassionate Heart. In this fire of Your pure love let these tepid souls, who, like corpses, filled You with such deep loathing, be once again set aflame. 0 Most Compassionate Jesus, exercise the omnipotence of Your mercy and draw them into the very ardor of Your love; and bestow upon them the gift of holy love, for nothing is beyond Your power. Recite one Our Father, one Hail Mary, and seven Glory Be's. O Mother of Perpetual Help, behold me, a miserable sinner at thy feet. I have recourse to thee and put my trust in thee. O Mother of Mercy, have pity upon me, I hear thee called by all, the refuge and the hope of sinners, be then my refuge and my hope. Help me for the love of Jesus Christ; stretch forth thy hand to me, a poor sinner, who recommend and dedicate myself to thee, as thy perpetual servant. I bless and thank God, for, having in his Mercy given me this confidence in Thee, the pledge, as I believe, of my eternal salvation. Alas, too often in past times have I miserably fallen, because I had not recourse to thee, I know that with thy help I shall conquer. I know that thou will help me, if I recommend myself to thee, but I fear lest in the occasion of falling, I should cease to call upon thee, and, so should lose my soul. This then is the grace I seek from thee, and I beg of thee, as far as I know how and can, to obtain it for me, namely, in the assaults of hell, always to have recourse to thee and to say to thee; O Mary, help me, Mother of Perpetual Help, suffer me not to lose my God. Amen. Immaculate Virgin! Mary, conceived without sin! Remember, thou who were miraculously preserved from even the shadow of sin, because thou was destined to become not only the Mother of God, but also the mother, the refuge, and the advocate of man; penetrated therefore, with the most lively confidence in thy never-failing intercession, we most humbly implore thee to look with favor upon the intentions of this novena, and to obtain for us the graces and the favors we request. You know, O Mary, how often our hearts are the sanctuaries of God, Who abhors iniquity. Obtain for us, then, than angelic purity which was thy favorite virtue, that purity of heart which will attach us to God alone, and that purity of intention which will consecrate every thought, word, and action to His greater glory. Obtain also for us a constant spirit of prayer and self-denial, that we many recover by penance that innocence which we have lost by sin, and at length attain safety to that blessed abode of the saints, where nothing defiled can enter. Holy Mary, Queen of Heaven, Mother of Our Lord Jesus Christ, and mistress of the world, who forsakes no one, and who despises no one, look upon me, O Lady! with an eye of pity, and entreat for me of thy beloved Son the forgiveness of all my sins; that, as I now celebrate, with devout affection, thy holy and immaculate conception, so, hereafter I may receive the prize of eternal blessedness, by the grace of Him whom thou, in virginity, didst bring forth, Jesus Christ Our Lord: Who, with the Father and the Holy Ghost, lives and reigns, in perfect Trinity, God, world without end. Amen. The Queen of the Holy Rosary said "Whoever desires to obtain favors from me should make three novenas (9 days x 3 = 27 days) of the prayers of the Rosary, and then three more novenas in thanksgiving." Pray the Rosary (5 decades) once a day for 27 days in the spirit of petition for all of your good intentions. Then pray the Rosary (5 decades) once a day for 27 days in thanksgiving for your intentions being answered. O powerful advocate of all Christians, whose intercession, as St. Theresa assures us, has never been found to fail, deign to intercede for me now, and to implore for me the particular intention of this Novena. O glorious St. Benedict, sublime model of all virtues, pure vessel of God's grace! Behold me, humbly kneeling at thy feet. I implore thy loving heart to pray for me before the throne of God. To thee I have recourse in all the dangers which daily surround me. Shield me against my enemies, inspire me to imitate thee in all things. May thy blessing be with me always, so that I may shun whatever God forbids and avoid the occasions of sin. Graciously obtain for me from God those favors and graces of which I stand so much in need, in the trials, miseries and afflictions of life. Thy heart was always so full of love, compassion, and mercy toward those who were afflicted or troubled in any way. Thou didst never dismiss without consolation and assistance anyone who had recourse to thee. I therefore invoke thy powerful intercession, in the confident hope that thou wilt hear my prayers and obtain for me the special grace and favor I so earnestly implore (your intentions here), if it be for the greater glory of God and the welfare of my soul. Help me, O great St. Benedict, to live and die as a faithful child of God, to be ever submissive to His holy will, and to attain the eternal happiness of heaven. Amen. All-praised and all-honored hierarch, great wonder-worker, Saint of Christ, Father Nicholas, man of God and faithful servant, man of love, chosen vessel, strong pillar of the Church, most-brilliant lamp, star that illumines and enlightens the whole world. Thou art a righteous man that did flourish like a palm tree planted in the courts of the Lord; dwelling in Myra thou hast diffused the fragrance of myrrh, and thou pours out the ever-flowing myrrh of the grace of god. By thy presence most-holy Father, the sea was sanctified when your most-miraculous relics were carried to the city of Bari, from the East to the West to praise the name of the Lord. O most-superb and most-marvelous wonder-worker, speedy helper, fervent intercessor, good shepherd that saves the rational flock from all dangers, we glorify and magnify thee as the hope of all Christians, a fountain of miracles, a defender of the faithful, a most wise teacher, a feeder of the hungry, the gladness of those that mourn, clothing of the naked, healer of the sick, pilot of those that sail the sea, liberator of prisoners, nourisher and protector of widows and orphans, guardian of chastity, gentle tutor of children, support of the aged, guide of those who fast, rest of those that labor, abundant riches of the poor and needy. Hearken unto us that pray unto thee and flee to thy protection. Show thy mediation on our behalf with the Most High, and obtain through thy God-pleasing intercessions all that is useful for the salvation of our souls and bodies. Keep this holy habitation, every city and town, and every Christian country, and the people that dwell therein, from all oppression through thy help, for we know that the prayer of a righteous man avails much for good; and after the most-blessed Virgin Mary, we have thee as a righteous mediator with the All-Merciful God, and to thy fervent intercession and protection we humbly hasten. Do thou, as a watchful and good shepherd, keep us from all enemies and pestilence, earthquake and hail, famine, flood and fire, the sword and invasions, and, in all our misfortunes and affliction, do thou give us a helping hand and open the doors of God’s compassion; for we are unworthy to look upon the height of Heaven because of the multitude of our sins. We are bound by the bonds of sin and have not done the will of our Creator nor kept His commandments. Wherefore, we bow the knees of our broken and humble heart to our Maker, and we ask thy fatherly intercession with Him lest we perish with our sins. Deliver us from all evil, and from every adverse thing. Direct our minds and strengthen our hearts in the orthodox Faith, which, through thy mediation and intercession, neither wounds, nor threats, nor plague, nor the wrath of our Creator shall lessen. But vouchsafe that we may live a peaceful life here and see the good things in the land of the living, glorifying the Father, and the Son, and the Holy Spirit, One God glorified and worshiped in Trinity, now and ever, and unto the ages of ages. Amen. Blessed saint Patrick, glorious Apostle of Ireland, who didst become a friend and father to me for ages before my birth, hear my prayer and accept, for God, the sentiments of gratitude and veneration with which my heart is filled. Through thee I have inherited that faith which is dearer than life. I now make thee the representative of my thanks, and the mediator of my homage to Almighty God. Most holy Father and patron of my country, despise not my weakness; remember that the cries of little children were the sounds that rose, like a mysterious voice from heaven, and invited thee to come amongst us. Listen, then, to my humble supplication; may my prayer ascend to the throne of God, with the praises and blessings which shall ever sanctify thy name and thy memory. May my hope be animated by the patronage and intercession of our forefathers, who now enjoy eternal bliss and owe their salvation, under God, to thy courage and charity. Obtain for me grace to love God with my whole heart, to serve him with my whole strength, and to persevere in good purposes to the end, o faithful shepherd of the Irish flock, who wouldst have laid down a thousand lives to save one soul, take my soul, and the souls of my countrymen, under thy special care. Be a father to the Church of Ireland and her faithful people. Grant that all hearts may share the blessed fruits of that Gospel thou didst plant and water. Grant that, as our ancestors of old had learned, under thy guidance, to unite science with virtue, we too, may learn, under thy patronage, to consecrate all Christian duty to the glory of God. I commend to thee my native land, which was so dear to thee while on earth. Protect it still, and, above all, direct its chief pastors, particularly those who teach us. Give them grace to walk in thy footsteps, to nurture the flock with the word of life and the bread of salvation, and to lead the heirs of the Saints thou hast formed to the possession of that glory which they, with Thee, enjoy in the kingdom of the Blessed: through Christ Jesus, our Lord. Amen. O renowned champion of the faith of Christ, most holy saint Dominic, who didst renounce the honor and dignity of an earthly principality to embrace the poor, laborious, and mortified life which should distinguish a disciple of Him Who has said: "If any man will come after Me, let him take up his cross and follow Me." O burning torch, who being thyself consumed with the fire of divine love, didst incessantly labor to enkindle that sacred flame in the hearts of others, look down upon me from that throne of glory where thou enjoys the reward of all thy labors, and obtain that some sparks of that blessed fire may be lighted in my soul, to animate and encourage me under any crosses or trials with which it shall please the divine goodness to visit me. Thou, O great Saint, regard as nothing all the afflictions thou didst endure, and all the toils thou didst undergo for the promotion of God's holy cause; obtain, I beseech Thee, that the same ardent love which strengthened thee, may make sweet to me labors, humiliations, disgraces, or whatever other mortifications I may have to suffer for the Name of Jesus. May I ever bear in mind that nothing can happen to me but by the particular dispensation of a God Who is infinitely wise, and therefore knows what is best for my welfare; infinitely powerful, and consequently able to effect it; and above all, infinitely merciful and loving, Who has laid down His life for my redemption, and continues daily to give new proofs of His love and bounty. O tender Father of the poor who, when all other resources were exhausted, didst offer thyself for their relief, obtain for me that true spirit of compassion for the suffering members of Jesus Christ, which shone forth so conspicuously in thy holy life. May I, by charity to those whom Jesus so dearly loves, lay up for myself treasures in heaven, where thou now enjoy that which the eye hath not seen, nor the ear heard, nor the heart of man conceived, but which God has prepared for those who love Him, and who prove themselves His Disciples by the observance of His Divine precept "love one another." I praise and thank God for the high degree of sanctity to which He had raised thee, and the special privileges by which He has distinguished thee. I conjure thee, by that gratitude with which thou shalt for all eternity be penetrated for thy Divine Benefactor, implore for me the grace to root out of my heart whatever is not agreeable in His sight, especially that evil habit by which I most frequently offend Him. Obtain likewise the favors I request in this Novena, through thy powerful intercession. To Saint Jude, Holy Saint Jude, Apostle and Martyr, great in virtue and rich in miracles, near kinsman of Jesus Christ, faithful intercessor of all who invoke thy special patronage in time of need. To thee I have recourse from the depths of my heart and humbly beg to whom God has given such great power to come to my assistance. Help me in my present and urgent petition, in return I promise to make thy name known and cause thee to be invoked. Saint Jude pray for us and all who invoke thy aid. Amen. Recite an Our Father, Hail Mary, and Glory Be three times. O White lily of purity, sublime example of poverty, true mirror of humility, resplendent star of sanctity. O glorious St Anthony, who didst enjoy the sweet privilege of receiving into thy arms the Infant Jesus, I beseech thee to take me under they powerful protection. Thou in whom the power of working miracles shines forth among the other gifts of God, have pity upon me and come to my aid in this my great need. O little Flower of Jesus, ask God today to grant the favors I now place with confidence in thy hands. 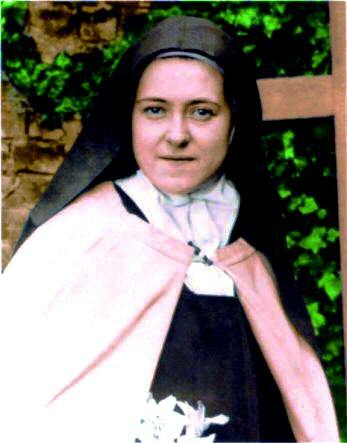 St. Therese, help me to always believe as thou didst, in God's great love for me, so that I might imitate thy "Little Way" each day. Amen. Let us Pray. O Almighty and everlasting God, who didst draw to thyself Saint Gerard, even from his tenderest years, making him conformable to the Image of Thy Crucified Son, grant we beseech Thee, that imitating his example, through Jesus Christ our Lord. Amen. O holy protectress of those who art in greatest need, thou who shineth as a star of hope in the midst of darkness, blessed Saint Rita, bright mirror of God's grace, in patience and fortitude thou art a model of all the states in life. I unite my will with the will of God through the merits of my Savior Jesus Christ, and in particular through his patient wearing of the crown of thorns, which with tender devotion thou didst daily contemplate. Through the merits of the holy Virgin Mary and thine own graces and virtues, I ask thee to obtain my earnest petition, provided it be for the greater glory of God and my own sanctification. Guide and purify my intention, O holy protectress and advocate, so that I may obtain the pardon of all my sins and the grace to persevere daily, as thou didst in walking with courage, generosity, and fidelity down the path of life. Recite the Our Father, Hail Mary, and Glory Be three times. O faithful virgin and glorious martyr, St. Philomena, who works so many miracles on behalf of the poor and sorrowing, have pity on me. Thou knowest the multitude and diversity of my needs. Behold me at thy feet, full of misery, but full of hope. I entreat thy charity , O great Saint! Graciously hear me and obtain from God a favorable answer to the request which I now humbly lay before thee. O Lord Jesus Christ, Who said, "greater love than this no man has that a man lay down his life for his friends," through the intercession of Saint Maximilian Kolbe whose life illustrated such love, we beseech Thee to grant us our petitions. Through the Militia Immaculata movement, which Maximilian founded, he spread a fervent devotion to Our Lady throughout the world. He gave up his life for a total stranger and loved his persecutors, giving us an example of unselfish love for all men -- a love that was inspired by true devotion to Mary. Grant, O Lord Jesus, that we too may give ourselves entirely without reserve to the love and service of our Heavenly Queen in order to better love and serve our fellow man in imitation of Thy humble servant, Saint Maximilian. Amen. Recite three Hail Marys and a Glory Be. O God, the Creator and Redeemer of all the faithful, grant to the souls of Thy servants and handmaids departed, the remission of all their sins; that through pious supplications they may obtain the pardon they have always desired. Who livest and reignest with God the Father in the unity of the Holy Ghost, God, world without end. Amen.